October’s Craft Challenge was Upcycling, and I also had put “Upcycle something” on my list of 35 Things To Do this year. Honestly, I was hoping to take my old nightstand and paint it and make it beautiful, but I just never got around to it. So this project has a bit of a story. 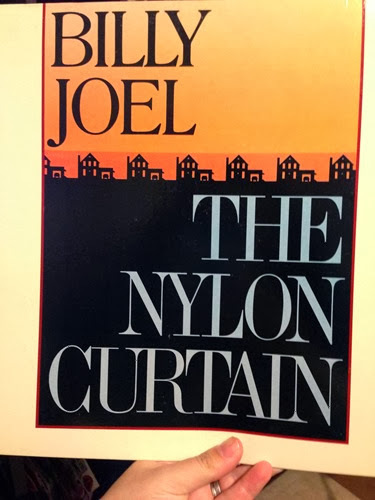 Like any good procrastinator, I waited until yesterday to realize I did not have a post written for today, and not only that, the post I’d been planning on writing was to be about a craft I had not yet done. So now I had one day to come up with an idea of something to upcycle. I knew I could not do something involving a sewing machine (don’t have one), I didn’t have the time to paint something, and I wasn’t going to start pulling apart the wood pallet that has been waiting in my garage for months. I had to come up with something simple. After searching Pinterest, I came across a project involving a record album. Which leads me to the next portion of my story! I have a friend from college who has an amazing memory for things that interest his friends. He collects all kinds of things, not only for himself, but also for his friends. So any time I would see him, he would hand over a pile of newspaper articles, paraphernalia, and anything you could imagine having to do with the topics he had in mind for me – the Muppets, Absolut Vodka ads, and Billy Joel being a few of those topics! 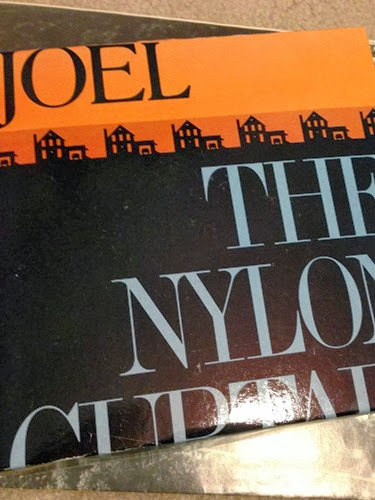 At one point, he had given me a few Billy Joel record albums, which of course I can’t play because I don’t own a record player, so they just sit on my shelf. 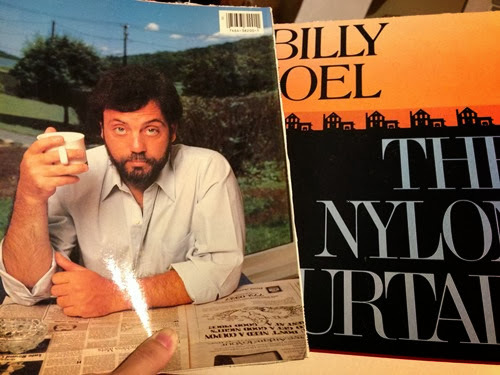 One of the albums was actually just a cover with no record inside. And in that lay my project. 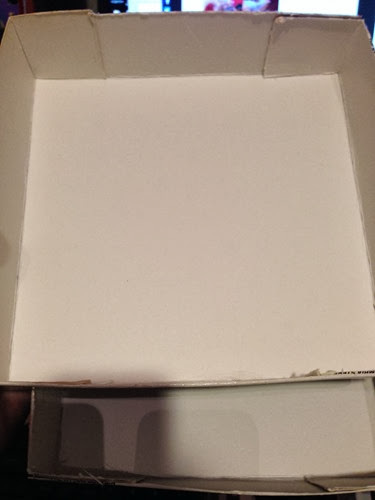 Using the directions right here, I turned a record sleeve into a box. 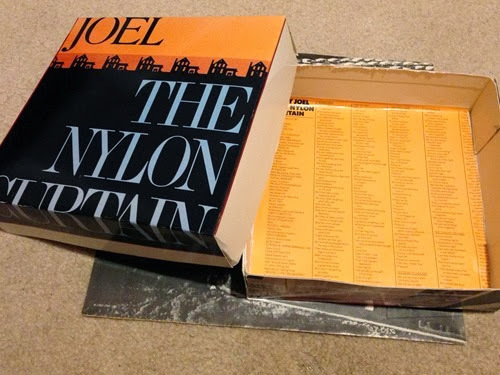 A Billy Joel box! I’m very excited about it! Since it’s not my project idea, this is not a tutorial, but here are the photos I took as I upcycled a record cover. 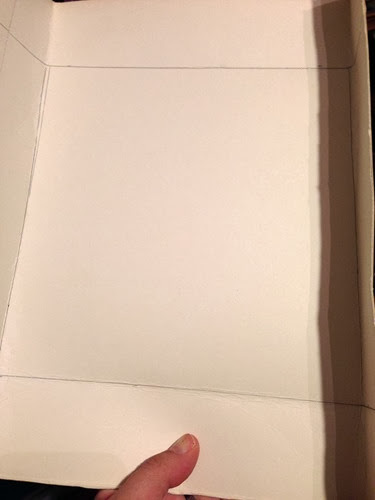 I lined the inside of the box with the liner notes! And this is my completed box. Now I need to find a home for my awesome upcycled album cover box! Today I want to introduce a lovely lady named Dawn. 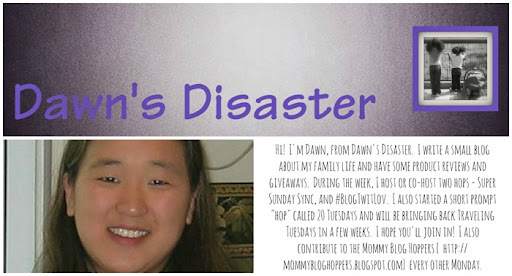 She hosts the weekly Super Sunday Sync, which is a link up I love! She also hosts some awesome giveaways and loves to review products for herself and her 3 little girls – The Beanie Babies! Where have you previously traveled that you loved and would return to? Germany, Austria, Switzerland, Mexico and various places in the US. I would love to return to Austria and Germany. They are so beautiful and rich with music history! Go visit Dawn and tell her I sent you! And don’t forget to enter the giveaway we are hosting this month!